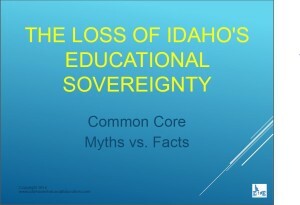 Idaho Core is Common Core! Let ESEA Ride into the Sunset! 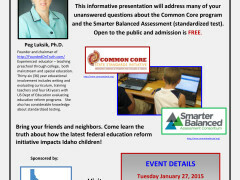 Common Core, SBAC Tests and The Truth By Peg Luksik Ph.D This informative presentation will address many of your unanswered questions about the Common Core program and the Smarter Balanced Assessment. 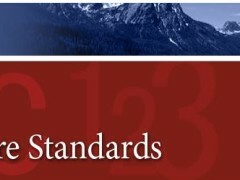 It’s open to the public and free. 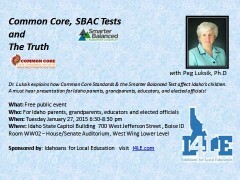 6:30pm January 27 State Capitol building 700 W Jefferson Street. Room WW02 House/Senate Auditorium, West Wing lower level.